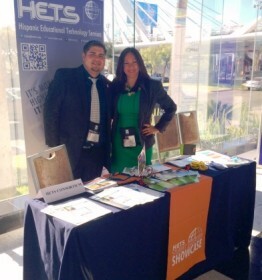 HETS participation at the 11th HACU International Conference in Guadalajara, México. 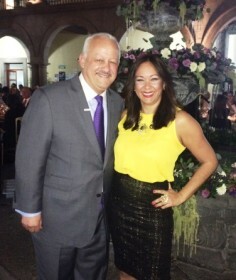 Ms. Yubelkys Montalvo with Dr. Tomas Morales, HETS Board member. HETS Executive Director, Ms. Yubelkys Montalvo participated with Mr. Albert Troche, one of the HETS Student Advisory Committee members, at the HACU International Conference held on February 25 to 27, 2015 in Guadalajara, México. Thanks to the collaboration of HACU and the sponsorship of the Inter American University of Puerto Rico, HETS was able to travel to México and have an exhibitor to promote the services offers to students, faculty and administrators among the participants of the event, including the student track. During the conference, Executive Director was able to attend the plenary and concurrent sessions regarding the 100,000 Strong in the Americas; Challenges and Opportunities for a more Prosperous and Fair Hemisphere. Institutions from USA and Latin-American were represented, and share their projects related to Cross-national collaboration, the Internationalization of Higher Education, strengthening university partnerships, student mobility, U.S. Accreditation, among others. Executive Director participated of several sessions and plenary sessions. Ms. Montalvo also has the opportunity to meet some of the leaders of HACU and other organizations participating, including HETS members attending the conference. Campus Puerto Rico and HETS presentations to students of the Medicine School Puerto Rican at Universidad Autónoma de Guadalajara. 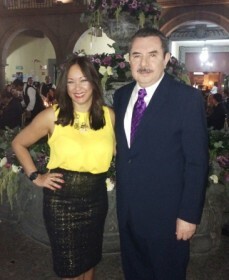 Ms. Yubelkys Montalvo with Dr. Antonio Flores. HACU President and CEO. On the other hand, HETS Executive Director was invited by the Universidad Autónoma de Guadalajara (UAG) to present HETS services to a group of Puerto Rican students enrolled at the UAG Medicine School, as part of the Agreement signed with the Puerto Rico Department of State (PRDS)to promote the Puerto Rico Campus initiative. Mr. Alexis Morales Freese, Auxiliary Secretary from the PRDS was presenting this initiative to a concurrent group of students.